We have a rundown of the features that helped earn those 2018 Acura TLX safety ratings below. Many are woven so seamlessly into the Acura TLX interior we’ll have to point them out when you take your test drive at Rallye Acura. The 2018 Acura TLX safety features have been designed to help mitigate the damage of a potential accident or help avoid an accident entirely. That’s good news whether you’re driving away from our service station in Roslyn or running errands around Manhasset. 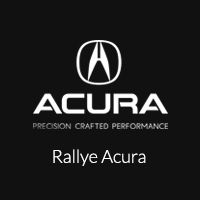 The high-tech Acura TLX features just start with safety; this is a sedan that is state-of-the-art, from what’s under the hood to what’s in the cabin – experience it firsthand today at Rallye Acura near Port Washington. Worried about icy road conditions? Acura P-AWS may be your answer. Compare it to the Infiniti Q50 to learn more! *NHTSA 5-Star Safety Ratings: Government 5-Star Safety Ratings are part of the U.S. Department of Transportation’s New Car Assessment Program (www.safercar.gov). Model tested with standard side airbags (SAB).